You will be asked to pay a deposit equivalent to the cost of 1 persons round per tee time to confirm the time(s). 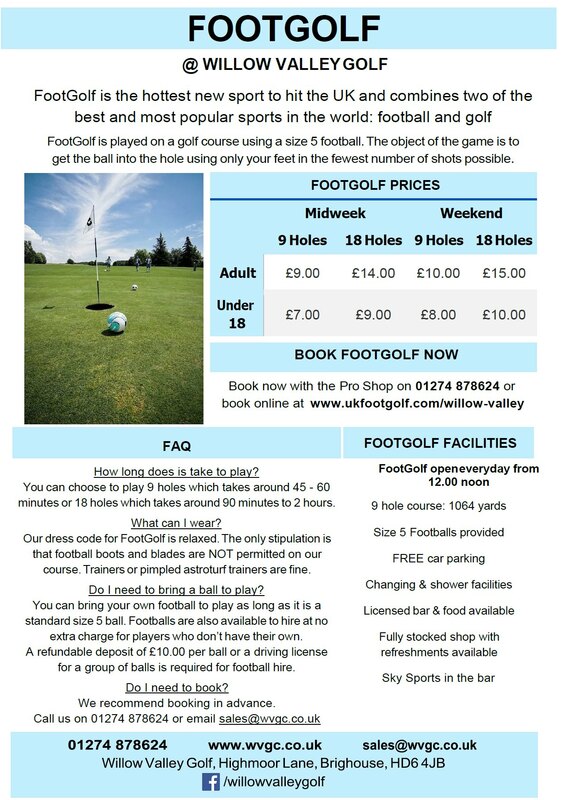 To secure start times we require a completed FootGolf Booking Form & a £5 per person deposit. Packages are based on minimum of 8 people.